The page was showing an exception and because of that I was not able to progress. I tried to access the servers from different machine but no joy. I then had to restart Cisco Tomcat service from CLI to resolve the issue. 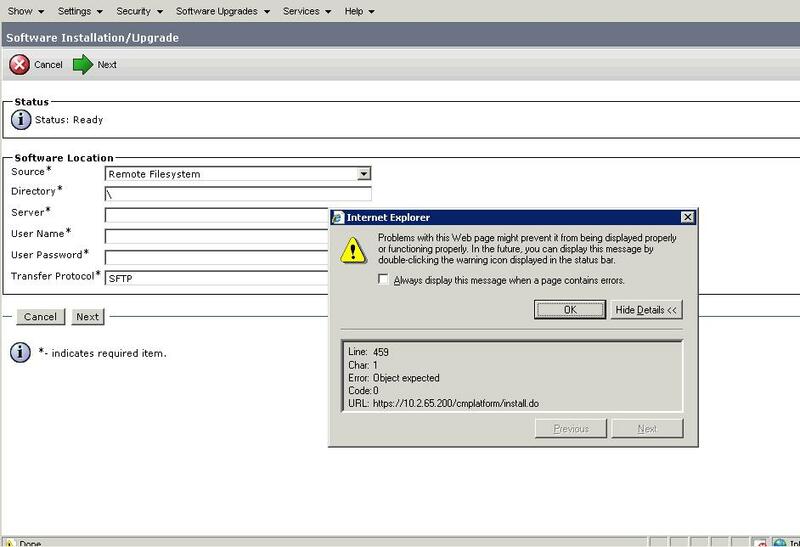 Please note Cisco Tomcat service can not be restarted from GUI – Serviceability. Hi Ammar, you need to wait before it comes back up properly. Do a ‘utils service list’ to see the status of it. If the service is not coming up at all then I would advise you to restart the CUCM server.